We provide this new Fengqing Ancient Tree Spring Chun Jian Raw Pu-erh Cake Tea 2012 , which are made of 100% pure one bud with one to three tea leaves from 500 to 1000 years old ancient Large-leaf Species. Produced in Fengqing, this raw puerh cake tea leaves were hand-picked between March 10, 2012 and April 20, 2012. These tea picked in this period are called Chun Jian. 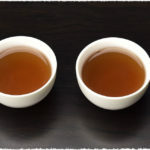 We know that Ming Qian tea contains a large amount of amino acid, presenting a fragrant and mellow flavor, while Yu Qian tea has high aroma and light bitter taste. Is ancient tree from ancient times? 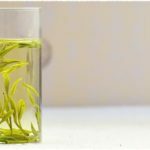 It refers to the ancient wild tree and its community that living in natural forests, semiwild tea trees, and artificial cultivated trees of over 100 years old. Those ancient trees are scattered in Fengqing. They are rare and precious. When they are planted in old days, people only did appropriate pickings and shaves instead of fertilize and spraying insecticide. In this way the tree could grow freely and naturally, and live till nowadays. 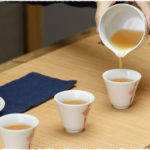 For more information, you can view the product page – Fengqing Ancient Tree Spring Chun Jian Raw Pu-erh Cake Tea 2012.